I finished Bioshock yesterday. I rescued all the little sisters, completed all the research, and got all the achievements except the ones for finding all the tonics (I missed 3) and journals, and the one for beating the game on hard. It was a good game, and I enjoyed it. I wouldn't say that it's unworthy of all the accolades it's received, but I won't be giving it game of the year. A couple things don't sit well with me. Andrew Ryan, the mastermind behind Rapture, who tracked your progress throughout the game and tried to stop you several times, submits to you when you finally encounter him, and orders you to kill him. From listening to his journals, I might be able to understand why he wanted to end it all, but it's out of keeping with his character from the rest of the game. Fontaine's character worked pretty well, and made a natural antithesis to Ryan, but I don't quite get why he would have faked his death and gone ADAM-crazy, or why he would have been leading you through the entire game. He was a mob boss, and was in charge of the working class- he already controlled everything, so why would he want ADAM, too? If he was controlling everything you did via mind control, what was the point of the submarine supposedly holding his family? He doesn't get anything out of it, and there's no need to build sympathy for his cause because the player is already under his control. Also, why hatch this enormous plan to send out someone into the real world, only to bring him back years later to bring down the whole city? It seems to me that he didn't need to leave at all, from a storyline perspective. The mind control twist was good, but it wasn't nearly as good as the level 4 twist in System Shock 2. 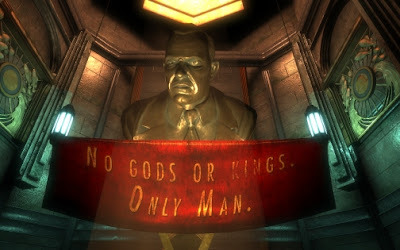 Part of my problem with Bioshock is that it was made by some of the original team that did System Shock, and is hailed as its spiritual successor. (I've even heard it called a remake, replacing cyberpunk with steampunk.) But it's not. It definitely has some of the same ideas and gameplay, but System Shock has SHODAN, and Fontaine is no SHODAN. The only character that comes close is Portal's GLADoS. 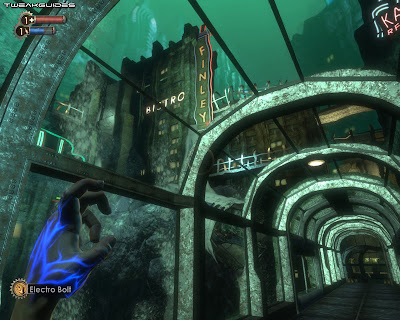 Bioshock is close enough to System Shock to force the comparison, but it just doesn't stack up. 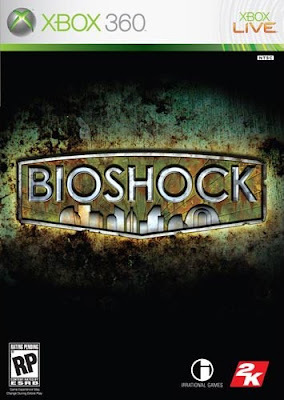 Not that Bioshock isn't a good game in its own right. The genetic manipulation, the little sisters and big daddies, plasmids and tonics, weapon upgrades, hacking, and choose-your-own-approach gameplay are all top notch. The environment is unique, the storyline is (mostly) tight and logical, and it's nothing if not memorable. I went in thinking I'd love it, but it wasn't the life-changing experience that it was claimed to be, or that System Shock actually was. Yo, i completed this game too. It's good game, lil bit unique compare to other FPS like Halo, Doom that made me sleepy. What you understand is a lil bit different from mine. I though is Ryan control the city, that's why Fontaine need to get player in, and reason didn't 'direct order' player to kill Ryan because he afraid of Ryan know his plan. Ryan can control player easily because he know the 'Would you kindly' code too. It's a nice game, i like it pretty much. But it seems too easy after we know the behavior of big daddy and those splicer. That big boss Atlas aka Fontaine is a joke too, i defeated him pretty fast and i was like... "Huh ? Game Over ?"